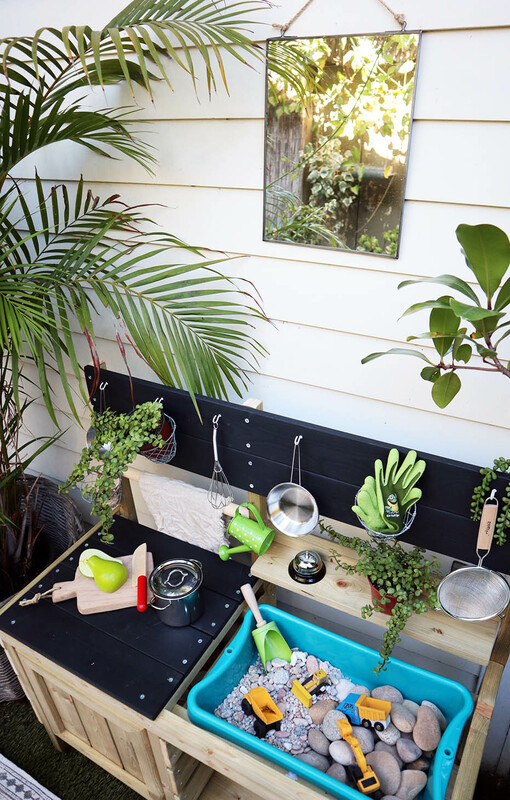 So, after lengthy deliberations, Adam and I opted to get our son a full gardening station for sorting, splashing, and making a proper mess. 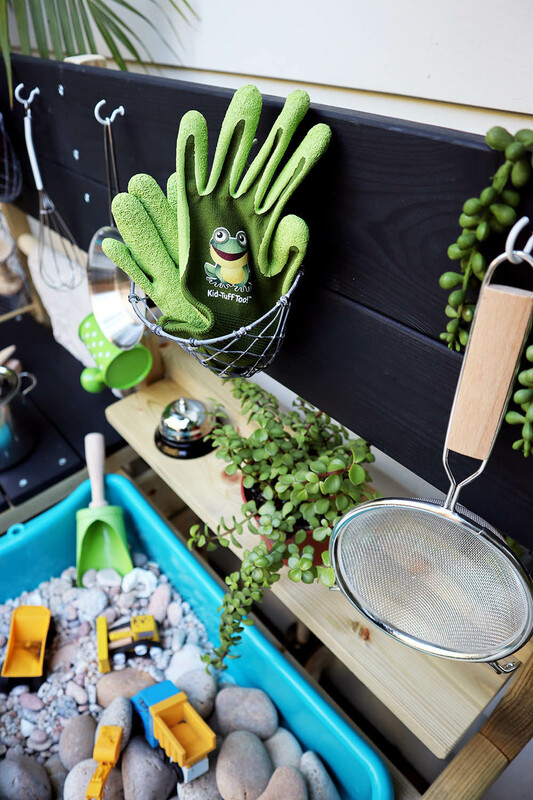 We outfitted it with rocks, old and new stainless steel accessories, his beloved mini trucks, some hand-me-down gardening accessories, and hanging baskets from his old closet nursery. Above: West gives his grandparents (in Florida) a FaceTime tour of his new table. I’m so glad we decided to go for it. West absolutely loves the table, which we unveiled for him at at the time he began attending part-time pre-school. Our timing was very deliberate. We wanted him to understand that even though he’ll be apart from us a few days per week (for the first time ever), that his home is always waiting for him, and overflowing with love. So far the transition to part-time preschool has been a painless one. Adam began taking West to the school twice per week over the past 4 months, so when the day came for West to attend alone he was already familiar with the staff, students, and indoor/outdoor environment of the school. However, our son is still home with us for the majority of the week. 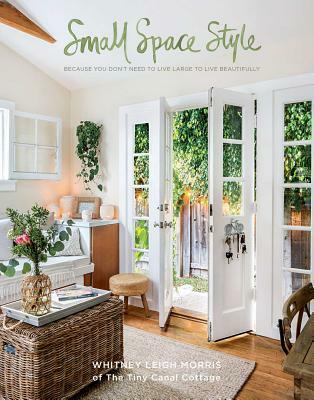 And since this is also my office, it’s great to have this compact play zone just beyond the stoop. West can make a mess, enjoy his favorite activities, and play with us or independently, depending on his mood. 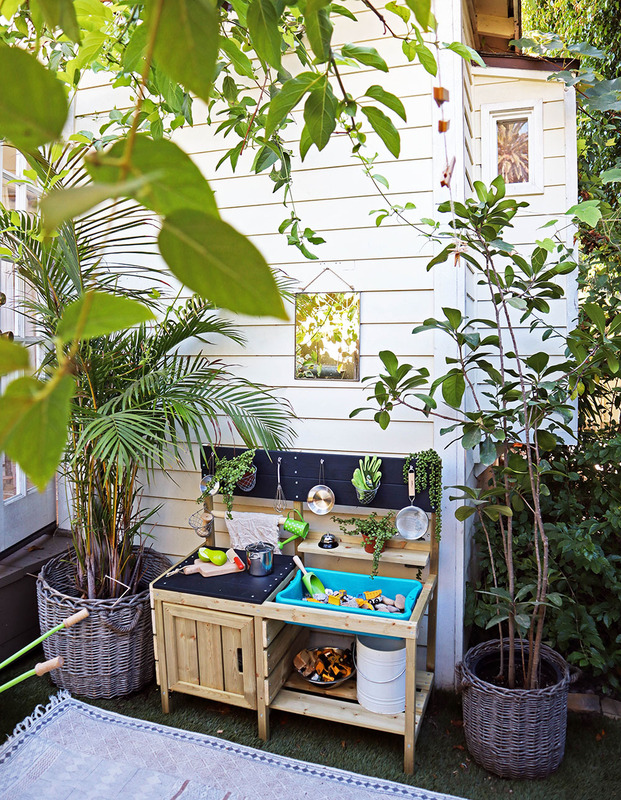 When paired with a few small and affordable toys, this little area sparks hours of imaginative, outdoor play.